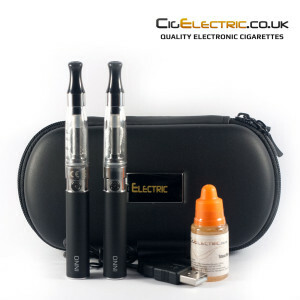 Thanks for purchasing the CigElectric GO electronic cigarette starter kit! This guide will explain how to fill your starter kit once you receive it. It will also explain how to use and charge your battery, maintain your device and how to get the best performance out of it with some tips for usage. Please watch the videos, they may be the easiest method to learn how to fill your electronic cigarette. 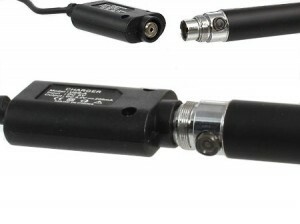 Filling your electronic cigarette is a relatively simple process. It is very important that the wicks and coil in the device are saturated with liquid and not dry when you first use it. Otherwise this can lead to burning the wick and leaving a burnt taste in the device which is difficult to remove. Simply leave several minutes after filling for the wicks to soak up the liquid to avoid this happening. Gently screw the top of the INNO battery into your USB charger until contact is made. Do not over screw to protect threading. After some time you may notice a reduction in vapour and performance. At this point you should replace the clearomizer. Cleaning as outlined below can also extend their lifetime. Remove the rubber cap that sits over the coil (where the wicks feed into) using a paper clip or thin wire. fill with hot water and shake vigorously several times. Repeat until the wicks are as clean as possible. I was using the skyCig before – so inferior in comparison. Have to say…. very nice… first impression is 10/10. I chose menthol sensation first, it’s a nice taste. Can’t wait to try out the others I bought.